I remember spotting something like this in one of the older versions of the master, but I tried to find it and could not reproduce the bug with the latest version, which one are you using? 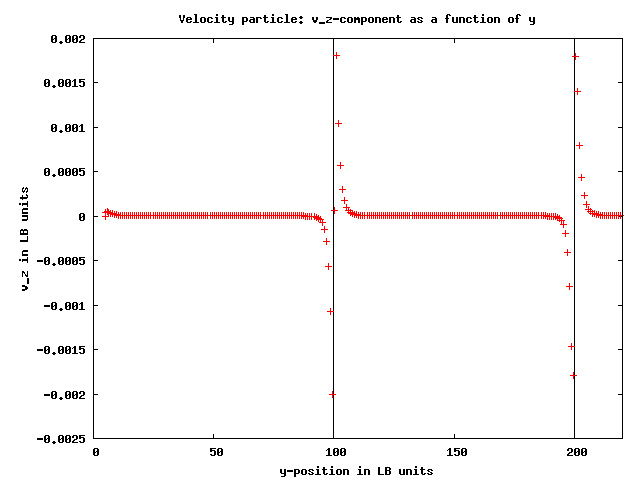 - Attached you will find the z-velocity as a function of the x-position (by accident I named it y-position). 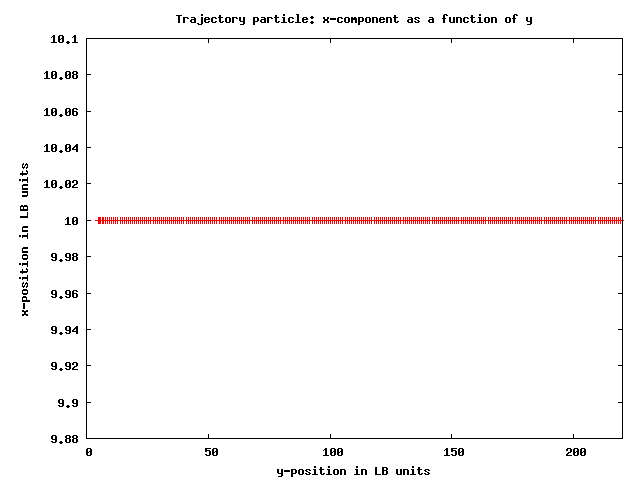 The velocity of the particle looks awkward when it gets close to the boundary (marked with a black line). 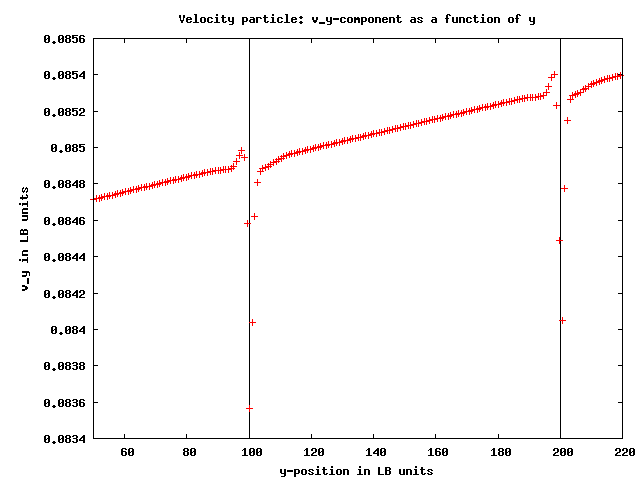 I furthermore performed a simulation, where I checked the interpolated velocities of the fluid at the origin of the particle. 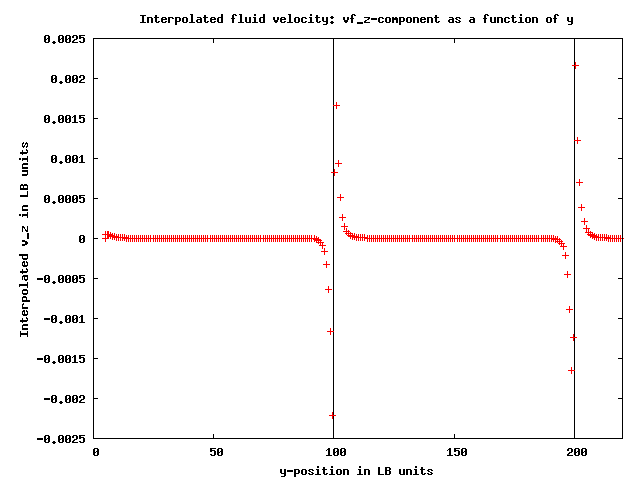 The v_z component of the fluid looks also awkward close to the periodic boundary. 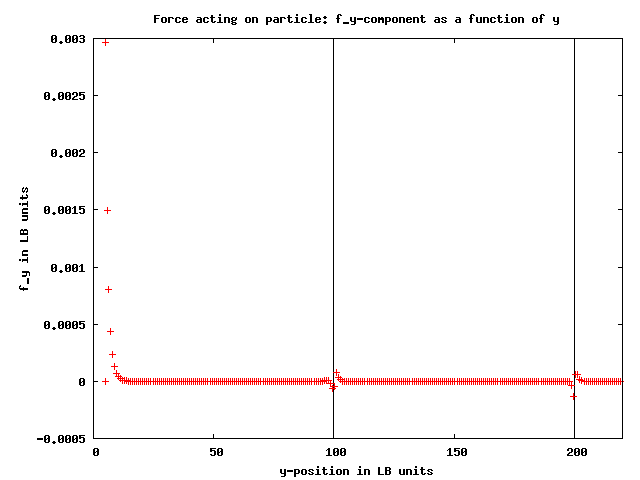 Even if I don’t put particles in the fluid, I get a strange velocity of the fluid close to the periodic boundary. 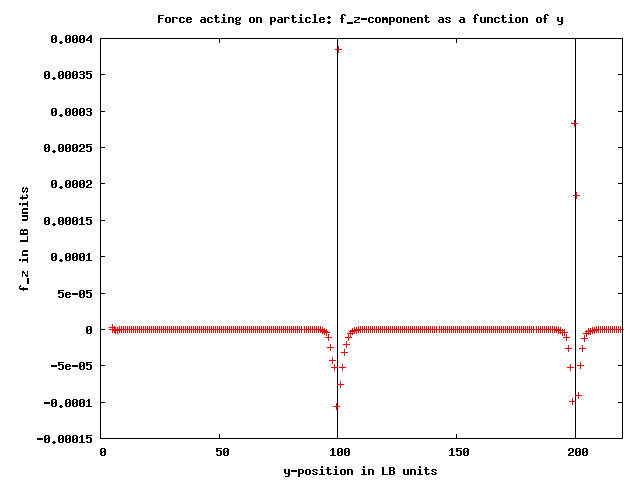 I was wondering, if the periodic boundary condition for the LB fluid has some bug. 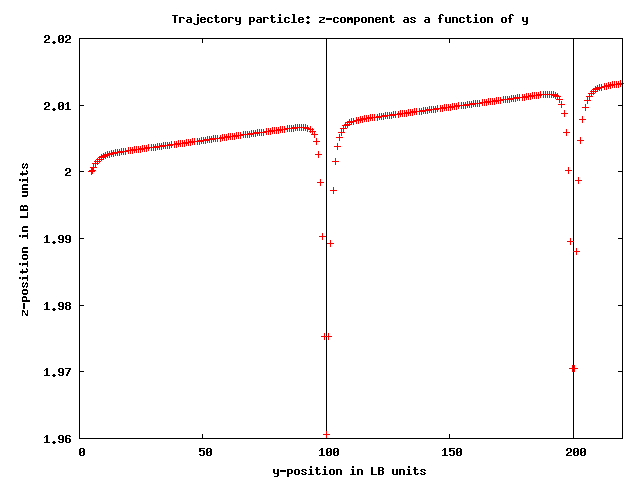 I played around a bit with the variable tau, but it still shows that strange behavior close to the boundary. Does anyone has a clue where this could come from? 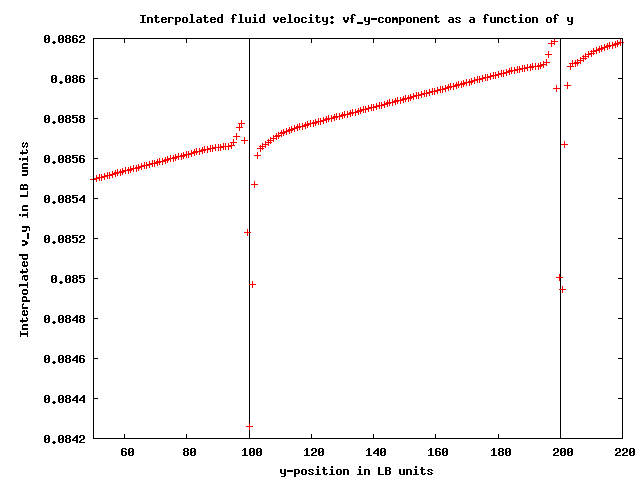 Attached I put some graphs of the velocity and the forces acting on the particle as a function of the position in the channel as well as the interpolated velocities of the fluid. Maybe that helps people spotting the error. > the LB Fluid doesn’t work. If I remove the fluid I don’t see that.